The eligibility criteria should cover all the women members of the families belonging to BPL Category and Antyodaya Anna Yojana, Annapurna etc. The priority in section of women should be given to the families having lowest income like households headed by no assured means of subsistence or societal support and women from primitive tribal households/ITDA/MADA. The eligibility criteria should emphasize upon selecting a "poor family' not any LPG connections earlier and in need of an LPG connection but not in a position to make the payment of the security deposit. The usage of the LPG beneficiary should be paramount in the selection process in order to have the optimum utilization of the amount invested by the Government for encouraging the consumption of LPG. 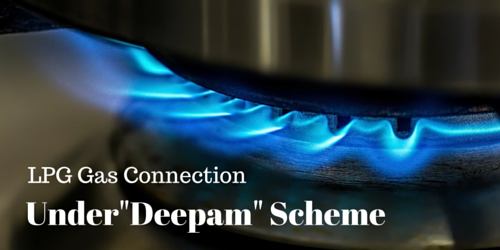 How to Obtain "Deepam Scheme" Gas Connection online in Andhra Pradesh ? Andhra Pradesh Citizens can visit Andhra Pradesh State Food and Civil Supplies department official website http://epdsap.ap.gov.in/epdsAP/epds for Submit their Application online. After Logon to department website, Than Click on "DEEPAM SCHEME'"
It will be redirect to New web page, Now You'll Click on "Public Forms"
Than Click on "Application For New Connection"
You'll See your Family Numbers list, Than Select Applicant Name (Women) in the list. Now fill necessary details in the "Online Application form"
Now Consult Your Gas Distributor for get Deepam Gas Connection. in particular house holder having a gas connection when rc number entire in the applications for new connection it does not show the status of connection why? after registration for new connections to approve the given new connection in grounding list it show the house holder having gas connection after that we usually surrender the connection wastly,finally before this new connections for registration it shows the status we are not give the connection? please update the server of all lpg connections if huose holders having a gas connection in application for new connection which is helpful for all lpg dealer they won't traied to give again a gas connection for same house holder. Those people who doesn't have ration card then what to do to get the gas connection through deepam scheme so what next people has to die? check application status this link http://epos.ap.gov.in/Deepam/application_status.jsp and contact your nearest gas agency.